November 5 is National Men Make Dinner Day. At my house, that’s every day. But soup is a great recipe for men to learn, because you can’t burn it! 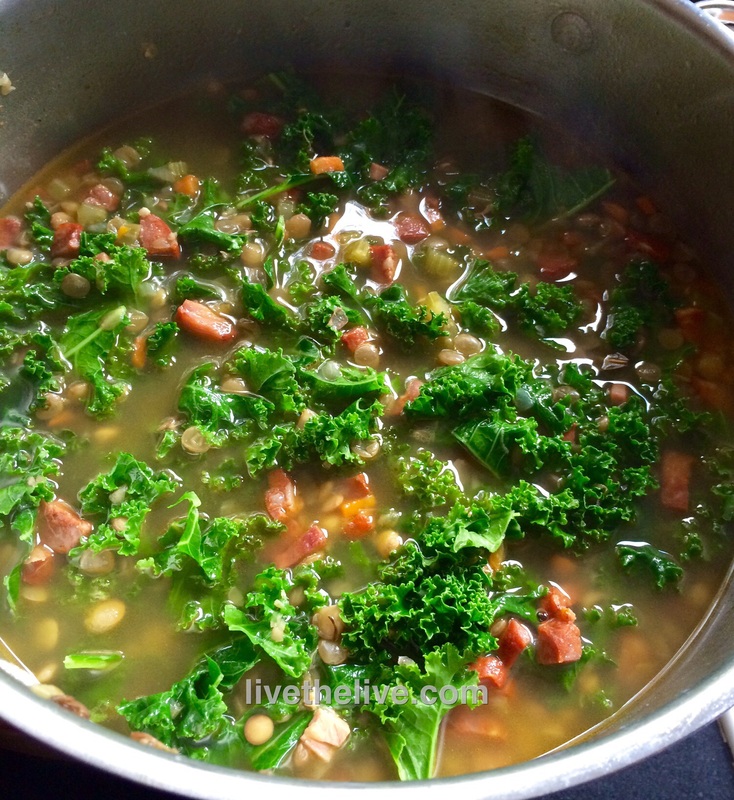 When I first posted my recipe of Portuguese kale soup, I was told by many Portuguese friends that my soup wasn’t authentic so I couldn’t call it that. Fair enough. Well, my Portuguese pal, Paula, has a great soup recipe that has been passed down from her Mom. Her Mom even adds chicken feet to the stock, which Paula chooses to leave out. Like most Portuguese soup recipes I’ve seen, there’s a ton of carbs: often potatoes with pasta with a lot of beans. But damn, it’s good! Here’s my version: carb-friendly, but still packs a lot of flavor. In a saucepan with a little olive oil, saute the onions, carrots, celery, and garlic for a few minutes. Add the chopped chourico and saute a few minutes more. Add the contents of the saute pan in the pot.